If you do want to know what other shows I like, check out my MAL page. Feel free to leave a comment or send a friend request, too. I love friends. Why? 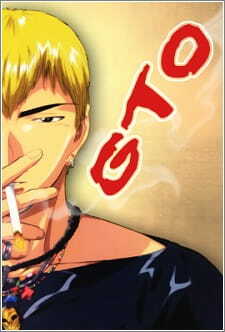 : When it comes to eccentric teacher shows, Great Teacher Onizuka is the gold standard. Other shows try to reach its heights of both comedy and emotion, and while many have come close none have nailed the mix quite as well as this one has. This comes down in large part to the titular teacher Onizuka himself; he’s young, rebellious, and unconventional in all of the best ways, leading to a wide variety of hilarious hijinks. Almost more importantly, though, he is caring and empathetic, so when push comes to shoves he really does take his students’ problems seriously. Similarly important, the issues his students face can be played for laughs but are at their cores grounded in the real life struggles of high school kids just like them. Great Teacher Onizuka has a lot of fun with its premise, but it also paints real feeling pictures of stressed out, struggling teenagers with actual problems, and it deals with them in a fun and ultimately sympathetic way, just like a good teacher. How can you watch it? : You can see this show on Crunchyroll. Why? : This one comes with a bit of a warning: Gungrave is, essentially, two very different but connected shows haphazardly stuck together to form one strange beast. Based on a video game, this show serves as a prequel of sorts, following protagonist Brandon Heat and his pal Harry MacDowel as they enter the world of organized crime and eventually find that things are not what they seem – specifically, the supernatural is a bit more real than they realized. Until about halfway through the show, though, that thought would never cross your mind. The core of the narrative is the friendship and eventual falling out of Brandon and Harry, as they find power and influence waiting for them should they choose to abandon old morals and perhaps even lose their humanity. The conflict comes through the difference in ideals between the friends; Harry’s penchant for power is much stronger than Brandon’s, who more simply wants to protect the few things and people he still has left in this world. The tensions depicted here are brutal and ring true, and the heartbreaking growing divide between Harry and Brandon is some of the best character writing I’ve seen. Eventually this plot gives way to the inevitable lead-in to the video game, which involves less realistic mafia goings-on and more flashy gunfights with crazy monsters. It isn’t quite as good as the first part of the story, but it is still worth sticking around for because it holds the final part of Harry’s character arc, a necessary thing if you are at all invested in the story at that point. How can you watch it? : Both Funimation and Hulu have this available for streaming. Why? : Often criticized for being too slow, I’ve personally found Kimi ni Todoke‘s brand of romance to be all the more effective because of it. Protagonists Sawako and Shouta are a match made in Heaven, but they don’t know it yet, and their individual life experiences make that realization come even later than it would otherwise. Sawako’s social anxiety works as a contrast to Shouta’s popularity absolutely perfectly; they are from very different worlds, and watching them try to reconcile this as they grow closer is a lovely experience. Kimi ni Todoke also has a wonderful supporting cast, too. Sawako’s friends are almost idyllically supportive, but they have their own lives and troubles that the show takes time to explore, as well. 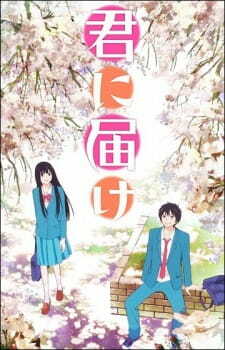 Time passes at not a clip but a stroll in Kimi ni Todoke, and it invites you to enter these characters’ lives and take those exciting yet relaxing steps one at a time with them. How can you watch it? : You can see it on Crunchyroll and Hulu. Why? : East Tokyo United is in a bit of a pinch. They haven’t been successful for a long time, and have been barely avoiding being dropped from the league entirely. Even their fans are leaving them little by little. 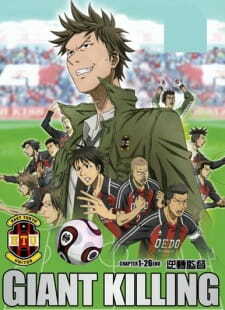 However, in times of dire straits, they gain a new captain by the name of Tatsumi Takeshi, a former football player himself and an apparent expert in “giant killing.” He is eccentric, and much of the story is about his unique but rewarding methods toward finding his team’s strengths and playing toward them for victory. Throughout the show we see the team grow, slowly but surely, into much more than they ever thought they could be. Giant Killing is an underdog story. That in itself isn’t exactly revolutionary – most sports stories, after all, are about the journey of some small team toward greatness. However, while those other sports shows would portray this as a steady stream of games in which the main team topples previously established greats fairly quickly, Giant Killing is much more patient. In Giant Killing, no one is suddenly a top tier player overnight, and talent is just as much a factor as hard work. That is the real draw here; though Tatsumi’s methods may be strange at times, the narrative is driven almost entirely by the notion that there are realistic limits to each player and situation, but that this is true of everyone and can be taken advantage of. Essentially, it is less about becoming an amazing football team and more about finding your personal skills and goals, utilizing them to gain a better position in life – to kill the giant in the way of your own personal success. It is a refreshing take on a seemingly rote premise, and its only real problems are its limited animation and inherent incompleteness being an adaptation of an ongoing manga. How can you watch it? : Unfortunately there are no legal streams of this show available right now. Why? : Following transgender protagonist Shuuichi Nitori as she grows up and finds her way through a rough, seemingly impenetrable environment, Hourou Musuko is a wonderful articulation of very specific experiences, specifically, those of LGBT issues. It is incredibly refreshing in the world of anime, which seems to as a whole have very little knowledge, let alone tenderness, for such subjects. Hourou Musuko carries with it an immense amount of empathy and understanding, and it expresses those feelings in a way anyone could understand and sympathize with. Its understanding of character writing extends to every part of the show, though. On top of its challenges based on premise alone, it manages to have a real understanding of children. How they act, how they think, and how they feel, Hourou Musuko proves itself to be cognizant of these particular problems, as well. There is a definite sense of maturity in the way Hourou Musuko carries itself from beginning to end, and the benefits of that come through in the well-told and well-constructed show that comes about as a result. How can you watch it? 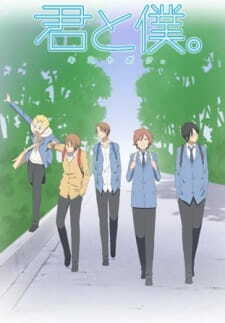 : You can check it out on Crunchyroll. Why? 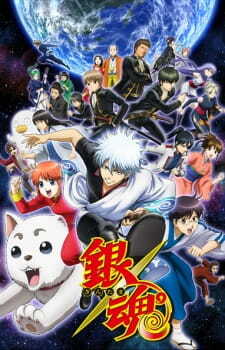 : Gintama is incredibly beloved, and for good reason. Stopping and starting through various amounts of time, it has essentially been on air since 2006, and has amassed a ridiculous episode count to match. The amazing thing, and easily pointed to as the reason it is still so popular, is that it never rests on its laurels; Gintama‘s world may not drastically change, and its characters may never age, but that doesn’t stop the show from continuing to flesh out its enormous cast time and time again. Most of the show consists of comedy, of course; one-shot episodes with a concept eventually taken to its natural extreme, then promptly forgotten about as a new scenario takes its place next week. However, every once in a while Gintama will take a slightly more ambitious approach and begin a multi-episode arc of varying levels of seriousness. The idea behind each one is still inherently ridiculous every time, and jokes don’t just suddenly stop happening, but that is part of the charm, and really part of how well constructed Gintama is. You see, despite being a comedy first, Gintama‘s writing when it wants to be genuine and touching is above average for its genre at worst and flat out great at best. That Gintama can so naturally flip the switch between irreverent poop jokes and sincere monologues is a testament to its worth not only as a top tier shounen comedy but as a show in general. How can you watch it? 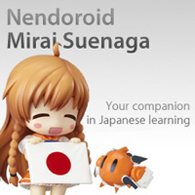 : You can see this from the beginning on Crunchyroll. Why? : Anime comedies don’t hit nearly as often as they seem to miss, but Jinrui wa Suitai Shimashita manages to find a wonderful balance between weird anime quirks and sharp social commentary. 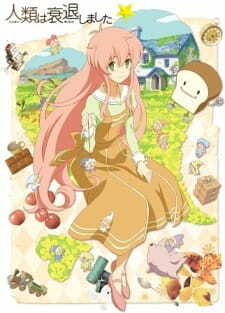 Taking place near the end of humanity’s time, Jintai follows the otherwise nameless Watashi as she works for the government as a mediator between the declining humans and the strange fairies who are set to replace us. Watashi’s job isn’t easy, and the people around her don’t make that much easier, which is where both the humor and insightful nature of the show comes from. Appropriately, given her “name,” much of the show consists of Watashi serving as a conduit of sorts for the viewer, allowing us to relate to her problems trying to do her job while dealing with all kinds of people who are varying levels of difficult to deal with. It is a simple setup when you take away the very surreal setting, but the juxtaposition between those two things creates a funny and unique experience. How can you watch it? : You can see it on Crunchyroll, Hulu, and The Anime Network. Why? : If you have ever wanted a realistic depiction of modern war, Flag is about as good as they come. The premise is fairly simple; Saeko Shirasu is a photojournalist who takes a picture of the titular UN flag which ends up becoming an international symbol of peace in a time of strife. That flag is stolen by an extremist group, and a taskforce is put together with the intention of taking it back. 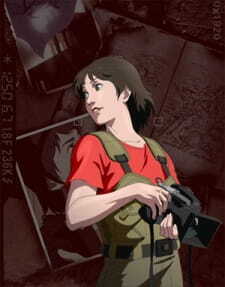 Naturally, Saeko is chosen as an on-scene journalist to document the efforts to retrieve the flag. From there comes a war story that does not really play out like a typical war drama; instead, it is like an animated documentary about the minutiae and personal drama of being on the frontlines, honest but also for the most part safely removed from the action itself. This is natural, as we actually do see almost every single shot from the perspective of Saeko’s camera, and sometimes the cameras of her colleague Keiichi. Visually and narratively, the show goes to great lengths to make it actually look and feel like we are watching her footage. Variations in focus, blurs during movement, and other small touches create a realistic camerawork feeling, and characters talk and act like people in a real documentary would, aware that they are being filmed while also giving in to the moment when things become more tense and emotional. There is even a subplot about a mecha being tested which is treated similarly realistically; the limitations of a bipedal robot versus a more versatile tank are conveyed through tests as well as actual combat situations. All of this effort to make things feel “real” is an effort toward the goal of portraying a small but personal segment of war in the real world, and Flag‘s pieces come together to convey that splendidly – that war is not fought by faceless soldiers and villains, but by people doing their best in the worst possible situation. How can you watch it? : Sadly, Flag is not available legally anywhere yet. Also known as: You and Me. Why? 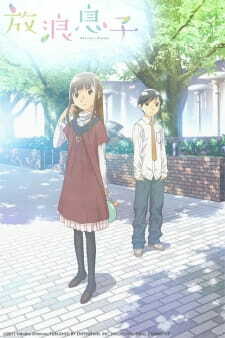 : At a conceptual level, Kimi to Boku. is an incredibly simple show, and probably equally incredibly uninteresting sounding. A group of five friends go about their high school days, doing nothing in particular as their youth slowly passes them by. We learn about them, their practically lifelong friendships so far, and how they perceive their futures. It is standard slice-of-life fare, without much in the ways of actual jokes, heavy drama, or important romantic subplots to make things more exciting. 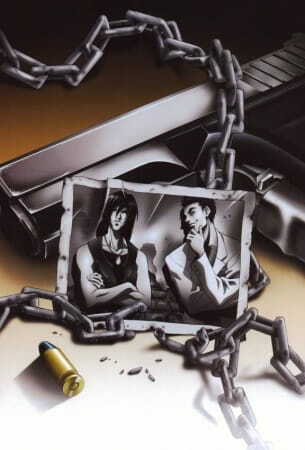 However, it is – perhaps paradoxically – exactly the absence of these things that frees up Kimi to Boku. to become the earnest, comfortable show it is. In lieu of traditional jokes, we have an already installed base of inside jokes that are initially off-putting and eventually become part of the language of the show to the audience. Drama refuses to be world-shaking, and instead plays out in small yet powerful ways that more accurately reflect the feelings and importance of these moments to the characters. Romance is as awkward as it feels when you are a teenager and as humorous as it seems in retrospect. Everything in the show is stacked up to build toward a special, powerful brand of nostalgia that few shows manage to actually deliver on like Kimi to Boku. manages to. How can you watch it? : It is available for streaming on Crunchyroll. Why? : There are plenty of sports shows about teams out there, but very few of them have the energy and heart of Yowamushi Pedal. Over the course of a year’s worth of content, Yowapeda introduces and subsequently endears us to a wide variety of road racers who all become potential favorites, regardless of how they come off at first glance. 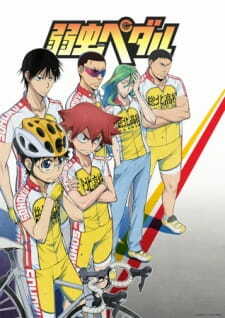 In fact, that is Yowapeda‘s simple but effective theme – first impressions can be misleading. When we meet main character Onoda at the beginning of the story, he is an insecure anime otaku who doesn’t believe he has any particular affinity for biking. Of course, he is the protagonist, and we’ve all seen enough shows to know that isn’t going to stay the same. It sets up the basic idea of the show well, though – a suite of characters whose looks may not match their realities, and who don’t let their pasts define their futures. In that sense, as well as simply being exciting in surprising ways, cycling is a pretty great metaphor. Yowapeda utilizes flashbacks liberally, almost embracing how cliche they eventually become as we meet new characters and can set our watches by the time we will receive their flashback. It is largely a matter of “if it works, don’t fix it,” though – while using history to show where a character started, we follow them in a race in which they constantly move forward. When we see them make mistakes in their flashbacks, their desires to push their pedals toward the finish line becomes a goal we share, too. Yowapeda is so good at this, in fact, that by the end it is almost a problem, because it is so easy and almost feels encouraged for us to root for characters we know have no chance of actually succeeding. It’s a long but rewarding journey to the end of the line, and in Yowapeda, there are plenty of friends to ride there with you. How can you watch it? : You can check it out on Crunchyroll and Hulu.